Nexus Arts, Lion Arts Centre, Sat 7 Jul. Knock, Mark, Stitch is presented as a part of an ongoing series called Nexus Live. Tonight’s music consisted of two pieces. The title piece, presented by Iran Sanadzadeh, Ali O’Connell and Setare Arashioo (graphic/video composition) was the Adelaide premiere performance. Musically it was based around bell ringing, with bells as percussion, bells as singing bowls with some clear links between the video and the sound, which combined soundscape along with musical elements. The inspiration for this is the life of the parents of Iran and Setare, as political dissidents and prisoners in Iran. The second piece is a brand new composition, commissioned by Nexus Live and combining music, sound, dance – intersecting them all. In this case some of the collaborators had not met until only a week ago. Nonetheless, musical and collaboration credentials were well considered! 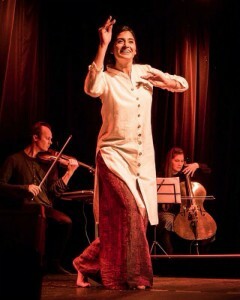 Erkki Veltheim has experience in composition and playing violin in chamber and orchestras; Rachel Johnston on cello is part of the Australian String Quartet, collaborator, accompanist and Master class teacher; Parvyn Singh is a singer and dancer from Bombay Royale, BluGuru and other associations, and is the daughter of Dya Singh; Iran Sanadzadeh (Synth, effects, sound boards) is a PhD candidate at the University of Adelaide and playmaker of sounds including feedback and bio loopback. It’s hard to describe such a varied piece, based on the idea of us humans finding order within chaos (which gave plenty of play space for both harmonious and cacophonous elements!). 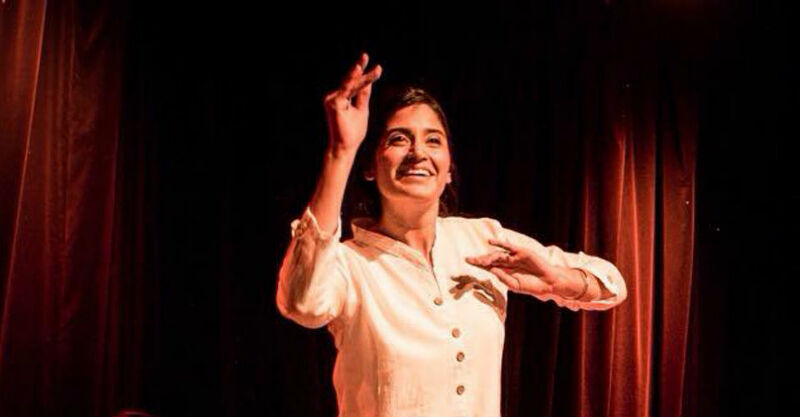 With instruments used in classical styles as well as in improvised states, soundscapes being modified by movement (on the sound boards), dance, voice, both straight and through loop pedal – there is plenty going on for an audience to digest in this piece! The audience was a large cross section from younger to their elders, from classical and jazz aficionados to people keen on pop, folk, rock… and there were samplings of many things familiar to us all, but all in exploration of the theme, and understandable so to us all. As well as the combination of various sound styles, there were also multicultural leanings, in sounds and dance, which all added to the effects (of both chaos and order). The finale also featured some carefully crafted choreography with great dramatic effect, with musicians leaving as a slow procession along the soundboards. In conclusion – Nexus Live has succeeded wonderfully in presenting a premiere for Adelaide and a newly crafted piece for this show and the Nexus Live series is well worth keeping an eye and an ear on – a great night! A great night of music and dance!